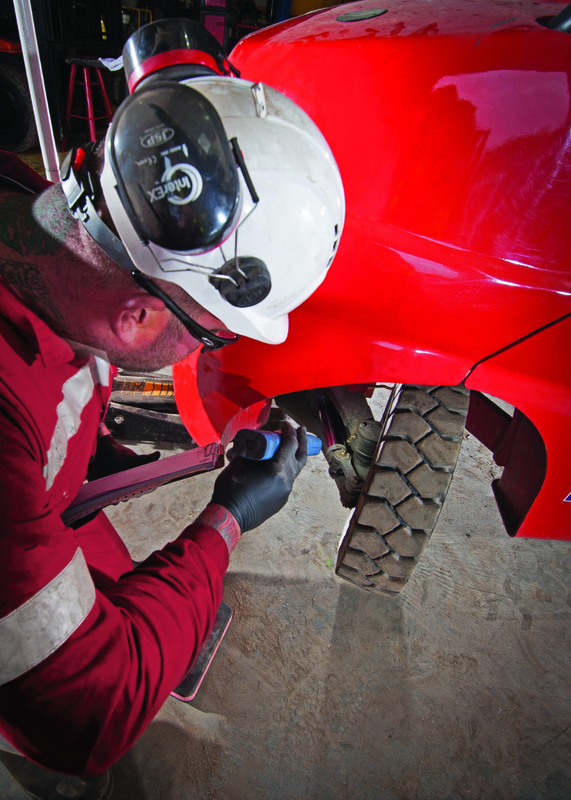 But, according to CFTS, even Thorough Examinations need thorough examinations to guarantee confident compliance for truck users. CFTS Technical Manager North Shaun Prendergast explained: “A Thorough Examination is about much more than the inspection itself. We pride ourselves on offering a truly comprehensive inspection. That’s why we demand that our accredited companies work to an agreed, quality-controlled, continuously assessed process. “For example, anyone involved in the administrative aspects of Thorough Examination management – whether it’s processing paperwork or reminding users of their next inspection date – must have completed a CFTS Thorough Examination Manager course. CFTS has also taken steps to ensure that Competent Persons employed by accredited companies comply with the law. Shaun said: “HSE guidance (INDG422) states that Competent Persons should be ‘sufficiently independent and impartial to make objective decisions’. “It’s perfectly legal for the same engineer who carries out routine maintenance to carry out the Thorough Examination itself, but to ensure they meet the law, we demand our accredited companies carry out a risk assessment. Doing this shows what measures are in place to ensure independence and impartiality. In addition, it indicates that there are steps in place to ensure that this is not normal practice. Regulation 10 of LOLER demands that any defects identified during a Thorough Examination which may involve an existing or imminent risk of serious personal injury – even if remedied within 24 hours – are reported to the local HSE office or HSE representative at the local council. Shaun added: “Neglecting this duty, simply because it’s been fixed ‘on the spot’, disguises a potentially dangerous situation – placing lives and limbs at risk.